RIDGEFIELD — The home improvement season is here, and the 28th annual Clark Public Utilities Home & Garden Idea Fair is the perfect place to find inspiration for you next big project. For projects indoors or out, you’ll find all the plants, ideas and service providers you’ll need all in one location. Plus, kids can stay busy and have fun with a variety of free activities for kids of all ages. The three-day event will take place April 26-28 at the Clark County Event Center, located at 17402 NE Delfel Rd., in Ridgefield. The annual event includes hundreds of local home and garden businesses, a showcase of full-size landscape displays curated by the Washington Association of Landscape Professionals and many guest presentations sponsored by the Building Industry Association and the Clark County Think! Campaign. 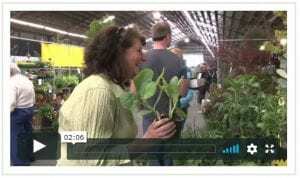 Coordinated by the Specialty Nursery Association of Clark County, the plant sale is one of the region’s largest. More than 50 vendors and nurseries participate, selling everything from vegetable starts and local plants, to hanging baskets and garden art. The Salmon Creek Farmers market will also host a collection of local market vendors on the midway. Visitors considering new construction can explore the latest innovations in home building. New Tradition Homes’ Innovation Home inside the Exhibition Hall showcases the latest technology for making homes beautiful, comfortable, connected and energy efficient. For those thinking big about living small, tour a small Accessory Dwelling Unit, or ADU, to see how a small home can provide housing flexibility both comfortably and efficiently. Admission is free to the Home & Garden Idea Fair, but donations of non-perishable food items for local food banks or cash for Operation Warm Heart, a program providing home heating grants to families in financial crisis, are encouraged. Event Center parking is $6 per vehicle. The utility provides free shuttle bus service from the Fisher’s Landing and 99th Street transit stations. Visitors can also bring burned out screw-in compact fluorescent light bulbs for safe recycling and receive two free LED bulbs per household in exchange. Hours are Fri., April 26 and Sat., April 27, 9 a.m. to 6 p.m.; and Sun., April 28, 10 a.m. to 5 p.m. More information is available at www.homeandgardenideafair.com. Clark Public Utilities is a customer-owned public utility that provides electric service to more than 195,000 customers throughout Clark County. The utility also provides water service to nearly 40,000 homes and businesses in the Hazel Dell, Salmon Creek, Lakeshore, Hockinson, Brush Prairie, La Center, Meadow Glade, Amboy and Yacolt areas. More information available at www.clarkpublicutilities.com.